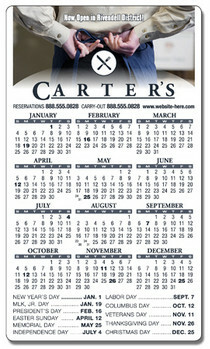 A 3.5 x 6 round corner announcement magnet can justify your promotional needs in a unique way. Despite being offered in cost effective prices, it helps to make the business announcements crisp and clear for public perception. This magnet can help the businesses to improve their brand value and it remains in the use for year and more ( only and only if the viewer finds them interesting).